You may not think too much about the indoor air quality in Tampa, FL, since your main comfort concern in your house is keeping it cool. However, keeping cool is often part of the problem with indoor air quality. We have homes built with tight seals against the outside so extra heat doesn’t slip in. This keeps homes more energy efficient by removing extra work from the air conditioning system. But this also restricts the flow of fresh air into the house, resulting in fewer air replacements. 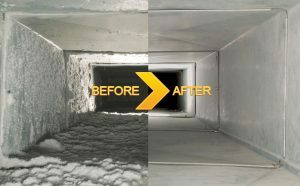 Air replacements are necessary to prevent stuffy interiors and remove unhealthy indoor pollutants. Your house may have a high concentration of all types of unpleasant particles, from volatile organic compounds to mold spores. Ah, summer. The time of year when air conditioners are put to the test all over the country, and especially in Florida. Hopefully, you’ve already had a professional check out your system for you to confirm that it’s in good shape. If you haven’t taken a look at your indoor air quality too, though, then you’re setting yourself up for more problems later on. 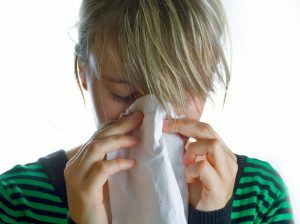 Indoor air quality is just as important during the summer as climate control. It’s also an area that a lot of homeowners tend to neglect. Let’s go over one of the lesser-known ways to improve indoor air quality in your home this summer, and help your air conditioner efficiency at the same time! Duct repair.